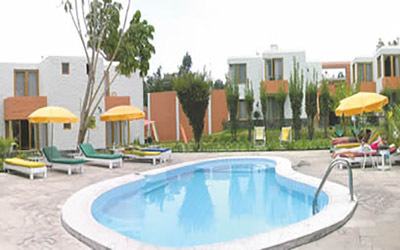 TRAVEL FROM AREQUIPA TO YANQUE AND ENJOY THE STUNNING VIEWS ALONG THE WAY. TAKE A TOUR THROUGH THE COLCA CANYON AND ENJOY THE SPECTACULAR VIEWS FROM THE MIRADOR CRUZ DEL CONDOR, WHERE YOU MAY GAZE UPON THE LARGEST LIVING BIRD BEFORE RETURNING TO AREQUIPA. 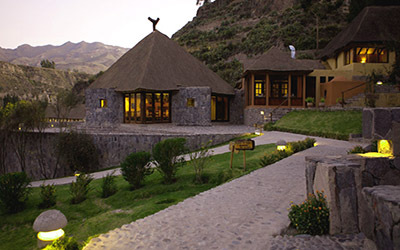 In the morning, you will be met you at your hotel and taken on a tour to the most spectacular places of the Colca Canyon. 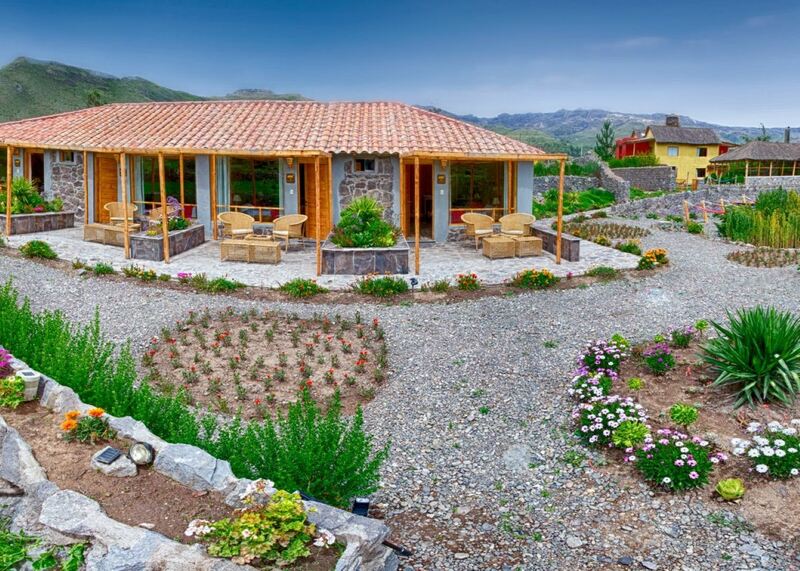 Along the way, we will stop in some small Andean villages where time seems to have stood still and Colonial architecture continues to be well preserved. 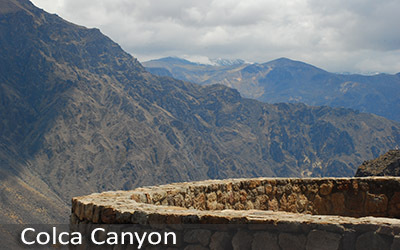 We will then follow along the canyon until we reach Mirador Cruz del Condor, which is the most popular viewing point for looking into the depths of the Colca Canyon. 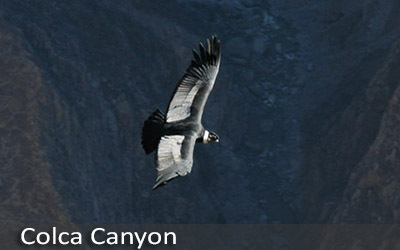 At this particular point, the depth is at 1200m, and you will almost always see a few condors in flight with the breathtaking canyon scenery in the background. You´ll have an opportunity to explore the canyon ridge on a short hike, returning to a nicely prepared local lunch. 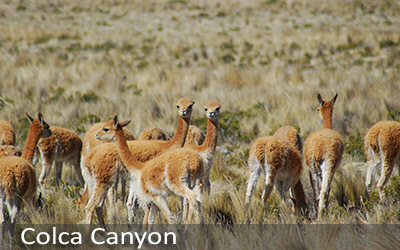 Once you have taken in the very refreshing air of the Colca Canyon, we will begin the trip back to your hotel in Arequipa.